We strive to have the best drivers in the country. Great service is important and finding drivers with a strong moral compass is what drives our company’s success. 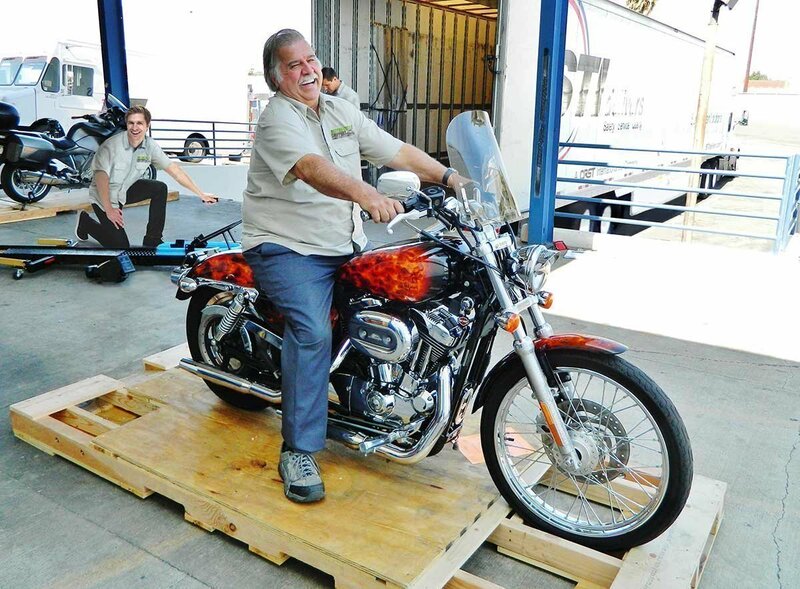 That is why we are excited to share a story about John, a motorcycle shipping driver, with you. John is one of our flag ship motorcycle shipping drivers and he consistently provides white glove service to our customers. Most recently he was heading to an event between Denver and Sturgis when he came upon a rider who had a flat tire. Being the gentleman that he is, John stopped to assist the rider. He provided the tools required to fix the flat and re-inflated the tire so the rider could continue on. What sets John apart from most is the little things he does that are not expected. To further drive home the point, upon regular deliveries he provides our customers with enough fuel to be able to ride immediately. In addition he checks their tire pressure after the long haul to ensure our customers safety. His attention to detail and his kind heart are what made John one of STI’s 2014 SSQ (Safety, Service and Quality) winners. Of course, this was a highly regarded honor and a we will always cherish this story. This level of mindfulness from our drivers has afforded Motorcycle Shippers the extraordinary customer loyalty we enjoy today.